“Long ago, in 1987, I took a series of about fifty photographs commissioned by Haludovo hotels to showcase what they had to offer (the architecture, ambiance, food, attractions, guests…) These photographs, intended for the promotion of the hotels, were all taken on colour negatives of 6×9 cm format. The fortunate circumstance of having taken these photographs of the hotel system in 1987 prompted me to photograph the same motives, using the same technical means, in 2018 (31 years later). I had previously taken war-themed pairs of before/after photographs of Dubrovnik and its surroundings, which was the first instance of an author happening to use the same technical means (cameras and film) to record the same motives before and after their destruction, and later before and after their restoration. This is the second instance of this coincidence. A direct comparison such as this is the best way to illustrate the difference three decades meant for this hotel system, still our best-known one in the world. The purpose of this exhibition is not to analyse the causes, or to elaborate in a quasi-political way on the deterioration of the hotel town of Haludovo, but to create a contrasting photographic memento to the brilliant architectonic work of Boris Magaš. 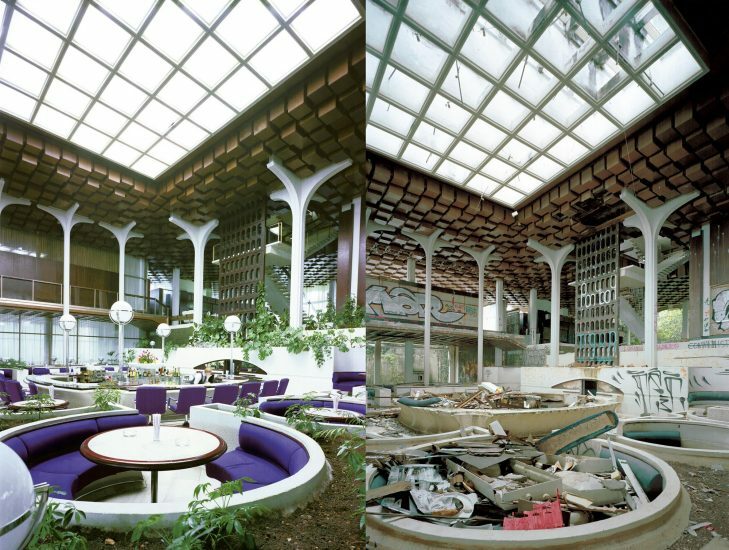 The reasons for the decay of Haludovo are only examined in the title, which paraphrases and symbolically compares the devastation of the hotel complex with the Luddism movement. Luddism opposed technological progress by destroying machines; in this case the tools of labour, a functional hotel system, were destroyed. This is also the meaning behind the subtitle of this project: snapshots of a time gone by, taken in a time that never happened… which points out the values we have so easily dismissed, failing to replace them with newer and more modern ones, and failing to build an even prettier and older… Haludovo.